Mayor Kevin Faulconer confirmed Sunday that he and San Diego Chargers owner Dean Spanos met face-to-face for the first time since the city learned of the team's plans to share a stadium with the Oakland Raiders in Los Angeles County. Faulconer would not reveal details about what was discussed but described the meeting as "productive." In a written statement, the Chargers said Spanos outlined the reasoning behind the team's decision to pursue a joint stadium with the Raiders as an option if negotiations failed with the City of San Diego. The statement also revealed that the city's stadium advisory panel had decided to "accelerate their work" and make a report available in the next three months. Many San Diegans who spoke to NBC 7 expressed shock and betrayal at news that the Chargers want to partner with the Raiders to build a stadium near Los Angeles. NBC 7's Steven Luke reports. 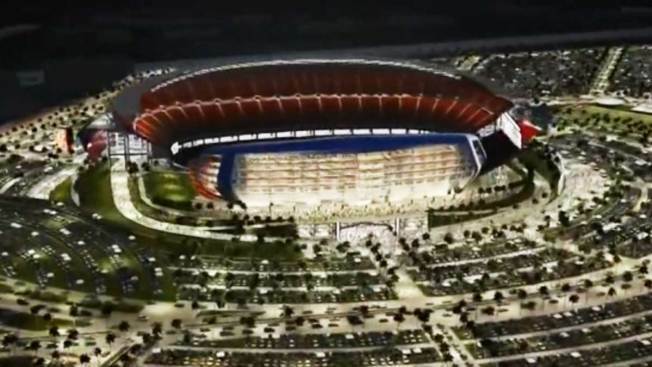 The meeting is the first since Mayor Faulconer accused the Chargers ownership of dragging its feet with negotiations while at the same time working on the joint stadium in Carson. The Chargers said they pledge to work cooperatively with the Task Force in moving forward on a stadium agreement that works for everyone.